Don’t let the low price of this self-published guide deter you; Gerald Kelly’s no-frills book was the perfect starter guide to help me, as an absolute novice, understand what I was getting into. This is pretty much the only English-language guide available so far for the Via Podiensis. What it does, it does well: it’s a step-by-step guide to the GR65. It will tell you where to walk and when to turn, and it explained a lot (but not too much) of the historical and cultural details we passed along the way. I appreciate that the Cicerone Guides don’t break the trip up into recommended “stages,” but allow readers to set their own paces. What Cicerone is missing, though, are maps and practical information about where to stay along the way. We ended up carrying this book for the trail guide, along with Miam Miam Dodo AND the gite list from the Via Podiensis Facebook Group) to help us find beds each night. There’s a hole in the market I wish someone would fill. Ah, Brierly. 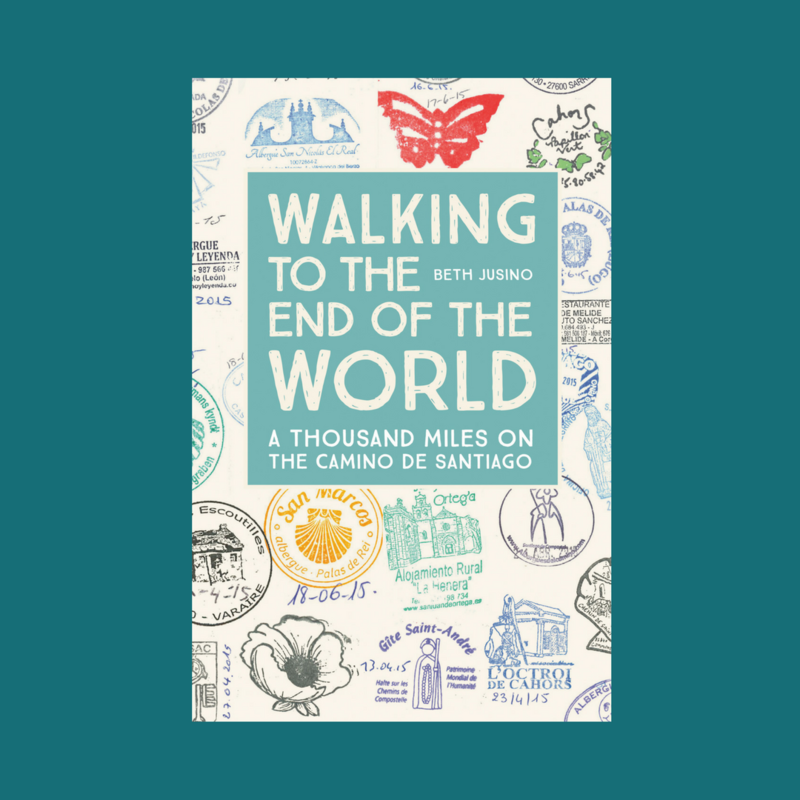 He’s written the most popular and widely-used Camino guides for English-speaking pilgrims, but you’ll hear him cursed all across Spain. Pilgrims love to hate his long-winded stories and spiritual asides, and his strong opinions about the “souless sendas” have sent many a pilgrim down unnecessary detours of unsheltered, unsupported back country trails. On the other hand, the maps in these books are awesome, and the annual updates do an adequate job of staying on top of the explosion of albergues, bars, and services available to pilgrims along the crowded Camino Frances. 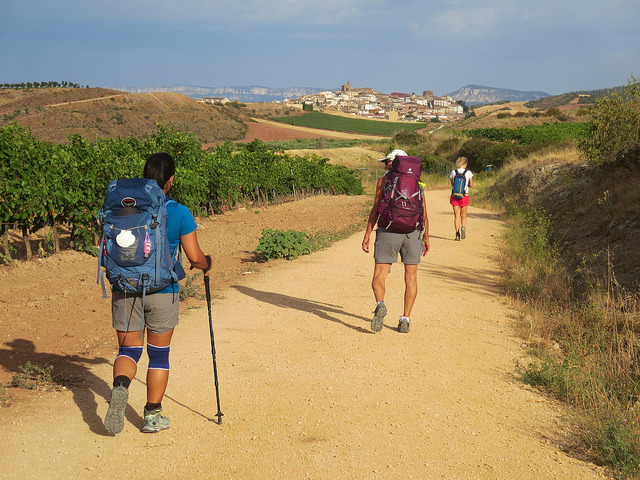 And I’ll always be grateful to him for recommending, in the middle of the crowded last week to Santiago, that we stop in the tiny village of Ribadiso when most of the hordes of walkers went on to the bigger city of Arzua a few kilometers farther along. Because of course you need an entirely separate book for the last 3-4 days of the Camino. Shame on Brierly and the Camino Guides publisher for what seems like a blatant money grab. To make this little booklet stretch to 96 pages, they’ve tried to sell it as a “bilingual” edition, meaning that there’s really only about 40 pages of information for you to read twice, once in English and once in Spanish. However, I’m glad we had it along for that final stretch. I’ve heard that only about 10% of all pilgrims who arrive in Santiago go on to Finesterre, and most of them take the bus, so services out here are more spread out, and it would be easier to get lost. Disclaimer: The above links all go to Amazon.com, partly because some of these books aren’t widely available in bookstores, and partly because I have an associate account there. If you click the link and buy one of these resources, I will receive a few fractions of a cent. It’s a small way to pay the domain and hosting fees, and help make Camino Times Two self-sustaining. However, I’m not going to recommend a book I did not think was valuable (and I’ve read a lot of those, too), and if you have a preferred local bookseller who can order these titles for you, you should absolutely do that.